These articles DO NOT constitute legal advice and should not be construed as such. If an article is relevant to your particular legal situation you should understand that it is merely intended to provide a very general preview of matters that would be discussed in detail during a face-to-face consultation. The law is constantly changing and some of the information in these articles might be obsolete. Please also recognize that seemingly insignificant details often have a big effect on the advice that we give our clients concerning a particular legal issue. At what age can my child select his or her custodial parent? Under Georgia law a court must make a determination as to what arrangement will serve a child’s best interest when making an initial custody decision. When modifying a prior Custody Order the court must first determine that there has been a “material change of conditions or circumstances” since the previous Custody Order was entered. If the court finds that there has in fact been a material change of conditions or circumstances then the court may then determine if a different arrangement would better serve the child’s best interests. A child’s age has a substantial affect on custody determinations. A child that has reached the age of 14 has the right to select his or her custodial parent. A child’s custodial parent is the parent with whom the child resides for the majority of the time. The right of the child to select his or her custodial parent is not automatic once the child has reached the age of 14 because a court case must be filed to obtain an Order from a judge modifying the prior Custody Order. The court must determine that the child being placed in the selected parent’s physical custody will serve the best interests of the child, bu the law requires the judge to presume that the child’s election is in his or her best interest. Contrary to popular assumption a child does not automatically have the right to determine whether or not he or she will visit with the other parent once the child reaches the age of 14. The court must consider the wishes of the child and determine whether or not requiring visitation will serve the child’s best interests. The court may or may not require visitation. A provision under Georgia law that is often overlooked by many lawyers provides that a child may only elect his custodial parent once every two years. So, if a child elects to reside with one parent then in theory he or she must remain in that parent’s custody for a period of two years before he or she can make a different election. There are ways that a competent attorney can navigate around this restriction and file a file a new modification case within the two year period. When a child has reached the age of 11, but has not yet attained the age of 14, the Court is required to consider the wishes of the child with regard to his or her custodial parent. The child’s wishes, however, shall not be considered determinative until the child reaches the age of 14. Furthermore, the law provides that any case seeking a modification of physical custody cannot be based solely on the wishes of a child that is younger than 14 and that there must also be a material change of conditions or circumstances to accompany the child’s election. Periodic alimony will no longer be tax deductible by the payor or taxable to the recipient beginning January 1, 2019. Traditionally periodic alimony payments have qualified as a tax deduction from the payor’s gross annual income under the Internal Revenue Code. This means that the payor is allowed to reduce his total annual gross income by the amount of periodic alimony paid in that tax year, which has had the effect of reducing his or her tax liability to the federal government. On the other hand, the recipient of periodic alimony has traditionally been required to claim the periodic alimony payments as income, which has had the effect of causing him or her to potentially incur a greater tax liability to the federal government. The traditional approach to the deductibility and taxability of periodic alimony payments may seem to be a “wash” as far as the federal government is concerned. Why should it care? One party deducts the payments and the other party claims the payments as taxable income. Quite often, however, the ex-spouse that is paying periodic alimony is in a higher tax bracket and the tax dollars that he or she saves are substantially greater than the additional tax dollars that the recipient ex-spouse must pay since that spouse is often in a lower tax bracket. The federal government has wised up to this. 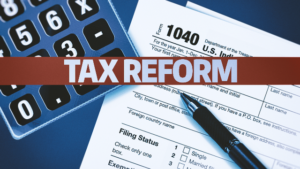 In December of 2017 Congress passed the “Tax Cuts and Jobs Act”. A portion of this legislation provides that periodic alimony payments paid in divorce agreements made and divorce decrees entered by the Court after December 31, 2018, will have new tax implications. The paying spouse will no longer be able to deduct periodic alimony payments from his gross income after December 31, 2018. The receiving spouse will no longer be required to claim the periodic alimony payments as income after December 31, 2018. If you are paying alimony based on a divorce agreement or divorce decree entered prior to December 31, 2018, you can relax. You are “grandfathered in”. Your payments will continue to be tax deductible and your ex-spouse will have to continue claiming the payments as income. So, what will be the practical effect of these changes moving forward? In my experience judges have typically given consideration to the amount of taxes saved by the payor and the amount of additional taxes paid by the recipient whenever they have set an alimony obligation. I see no reason why judges will not take into consideration the fact that alimony is no longer tax deductible or includable in gross income moving forward, and I see no reason for them not to adjust the obligation based on the new tax rules. What Should You Expect From Your Family Law Attorney? In my view every attorney has two obligations to a client. First, the attorney has an obligation to “counsel” the client. Second, he has an obligation to “advocate” for the client. It seems to me that so many attorneys neglect their first obligation. Attorneys should not only know the law, but they should know the likelihood of attaining the client’s objectives based upon the facts of the case, the judge that has been assigned to the case and a variety of other circumstances that might not seem particularly important to the client. Only after the client fully understands his or her legal situation and likelihood of success should the lawyer assume the role of advocate for his client. I’ve seen too many cases where the attorney fought for what the client wanted even though what the client wanted was not realistic. For example, I’ve seen cases where the parent filed for a modification of custody only to have the court refuse to modify custody then then grant a counterclaim for a an increase in child support. The client essentially paid the attorney to get his child support INCREASED! This doesn’t seem like money well spent to me. Sometimes settling for less than what the client wants in a “perfect world outcome” is a successful result if the settlement terms are better than what will mostly occur if the judge decides the case. If you don’t trust your attorney’s judgment in this regard then you probably have the wrong attorney. Beware, however, of hiring a lawyer that tells you exactly what you want to hear. The only promises that an attorney should make to a prospective client is that he will be prepared, that he will understand the applicable law, that he will understand the facts and circumstances of your specific case and that he will do his very best throughout the process. Copyright © 1997 to 2012, Johnston & Owen, LLC.